We are well known in the area for reliable customer service and competitive pricing. 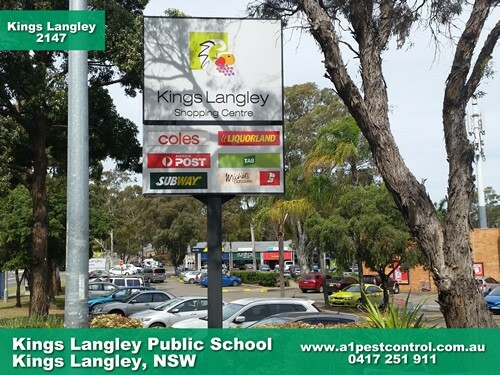 Kings Langley is our neighbouring suburb (we live and operate in Bella Vista) and has been our service area for over 35 years. We have been successfully treating Termites, Spiders, Cockroaches and Ants, all with low toxic treatments. Your home or business could be protected by a trusted local firm. We are a family owned business specialising in highly accurate termite inspections, control and treatments. Cockroaches. Cockroaches in this locality include the German and Smokey-Brown Cockroaches. Spiders. As it is a leafy area with lots of trees and shrubbery, Red Back spiders and other garden spiders may be a problem in may houses and businesses in this area.